Identify spammers within your network. Improve your IP reputation and ensure reliable email delivery for your users. MailChannels works with all major mail servers. "I’ve been happy with MailChannels since we started using it and I know our Abuse Manager is as well. It has freed up a ton of time for their team. Plus, we’ve seen a huge reduction in support complaints regarding mail delivery issues." "We feel more secure about the content coming from our network. 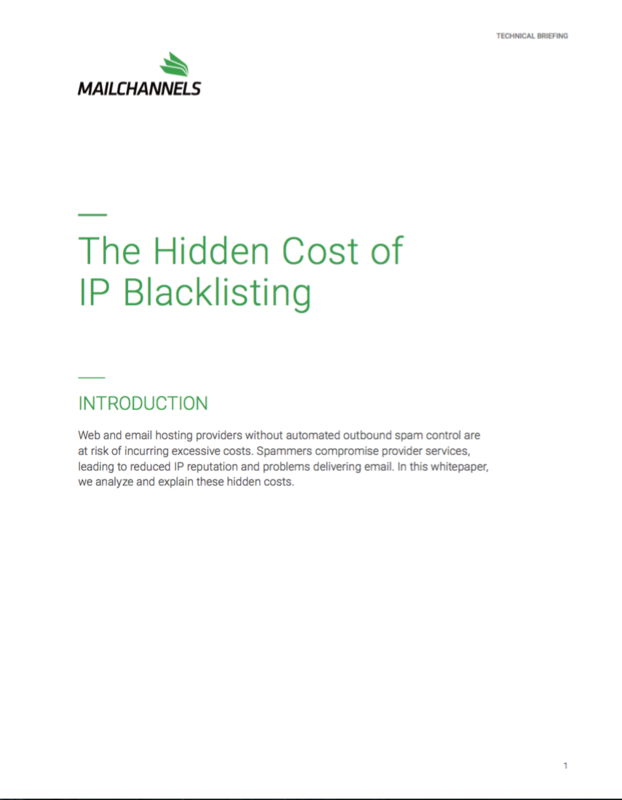 We’re also able to assure our clients that we proactively detect and stop outbound spam on our shared ranges, and that their IP space isn’t tainted by another user in that IP block. MailChannels definitely gives us peace of mind." "MailChannels more than pays for itself because our support team no longer spends time fighting blacklisting issues. We also have better customer retention and less churn due to greatly improved email reliability." Contact us to learn about our other pricing plans. Why Use an SMTP Relay Service? 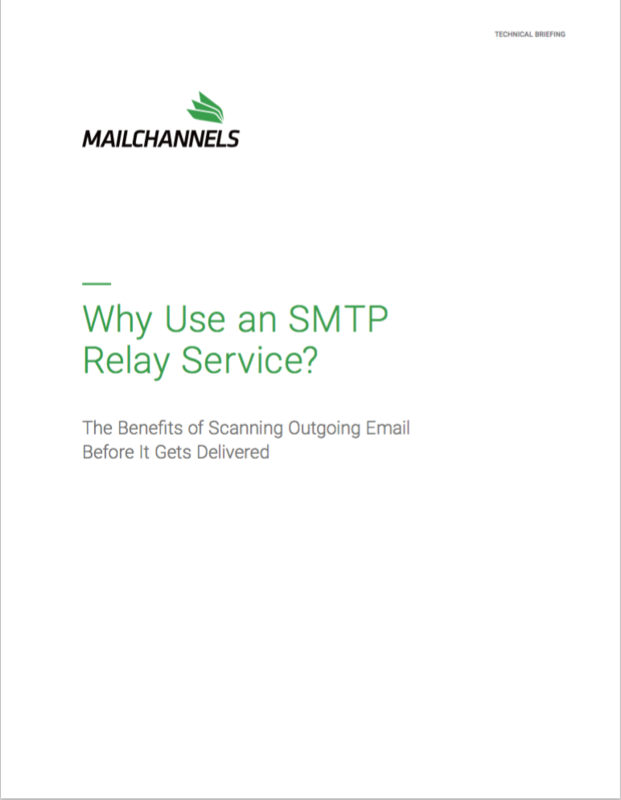 Learn how an SMTP Relay can improve email delivery for your hosting customers by scanning outgoing email before it gets delivered. 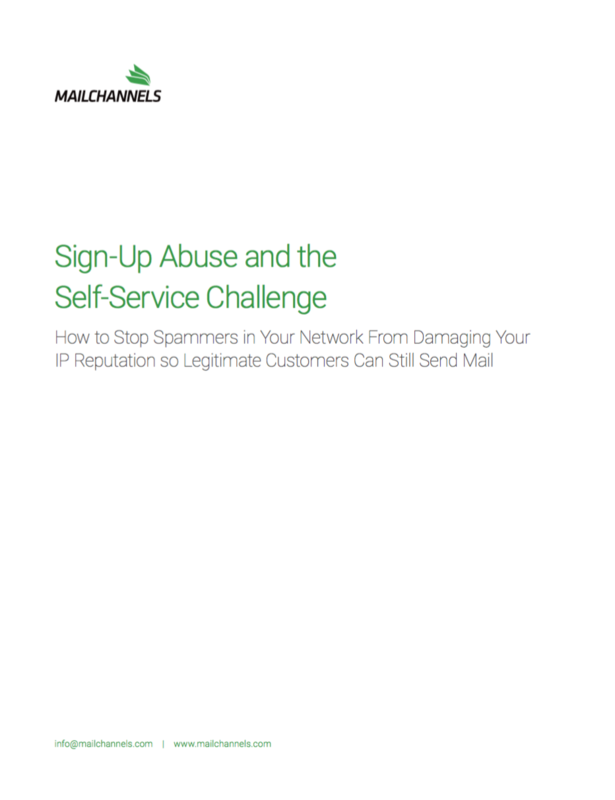 Learn how spammers damage the reputation of service providers and cause problems for delivering email. Read how service providers, with thousands of reputable IP addresses that ensure high deliverability for customer emails, have become a target for spammers. MailChannels Cloud scales to accommodate your business’s email volume while our worldwide servers ensure continuous and reliable operation. Outgoing email is scanned, spam is identified and blocked. A notification is sent so you can shutdown the user or script responsible for the spam. Choose the plan that fits your business needs and pay on a month-by-month basis. There is no long-term commitment or hidden fees with MailChannels Cloud.